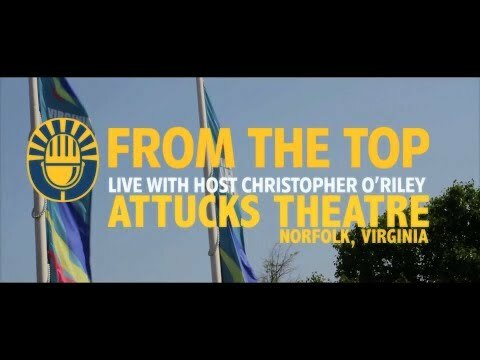 Sterling Elliott appeared on Show 275, recorded in August 2013, at age 14. He also appeared on Show Show 290, recorded in May 2014, at age 14. 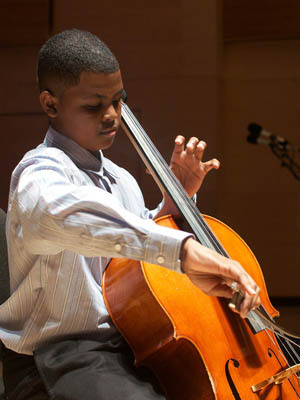 Sterling Elliott (cello), 14, is from Newport News, Virginia. He studies with Mike Daniels, principal cellist of the Virginia Symphony Orchestra. Sterling was the first place winner of the Senior Division of the Peninsula Youth Orchestra Concerto Competition in 2010 and has also enjoyed solo opportunities with the Hampton University Orchestra in 2009 and 2010 and the Eastern Music Festival Orchestra in 2012. In 2014 he was the Sphinx Junior Division First Place Laureate. He has attended the Aspen Music Festival and School and the Eastern Music Festival. Outside of music, Sterling enjoys soccer, basketball, writing, Wii games, and computer games. Sterling is a Jack Kent Cooke Young Artist. Get inspiring new shows and music videos delivered straight to your inbox.